HTC Desire HD turns itself off: Solved! 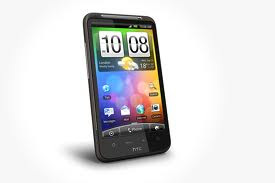 I recently bought an HTC Desire HD to replace my iPhone 3GS. It's an excellent phone in many ways, but has one or two flaws. When on a business trip I set my alarm for the next morning and left it switched on and plugged into the charger. I had never used the Alarm Clock app before. Since I had been caught out recently by the iOS alarm clock bug on January 1 and 2, I didn't entirely trust that the alarm would go off. My mistrust was well placed, and it was lucky I set the bedside alarm too, because the phone alarm didn't go off. The phone's power had cut out. When I turned it back on, much to my dismay the phone kept turning itself off at random every 20-30 minutes and for no apparent reason. I couldn't figure out what was going on and thought maybe it was something to do with a loose connection in the phone or the battery. I was about to send the phone back under warranty, and thought I should really spend some time to see if I can find the answer before going to the trouble of being phoneless for a few days while it gets fixed. So I eventually stumbled across the answer on AndroidForums (The link takes you to the main page because I found the post last night and since haven't been able to locate it). 1. Turn phone off and remove the battery, SIM, and memory card. 2. Leave the phone for a minute and put the memory card and battery back in (not the SIM). 3. Turn back on, allow to boot and then switch off again. 4. Take the battery out again, wait a moment and put back in with SIM too. Turn on. Apparently this type of reboot clears out some files that a normal restart wont, and causes certain programs that are set to start (and that could be the cause of the issue) to be disabled. I'm not sure if the Alarm Clock was the problem, but it seems a coincidence that this happened after the very first time I had set an alarm on the phone. Anyway, I found that not only did this simple fix solve my issue and thus prevent me from having to send the phone back, but the Desire HD started working at lightning speed after this! In trying to use SSIS for some ETL, I wanted to be able to pass variables about in my packages to use in updating the status of tasks in a SQL Server database. I got my package to set a variable to the result passed OUT of a stored procedure, but I could not get it to work when trying to pass variables IN to a stored procedure. I kept getting errors such as "The query failed to parse. Syntax error, permission violation, or other nonspecific error". I spent hours trying to get it to work. Then I found this post on Rafael Salas' blog which, ten minutes after reading, led me to the answer to my problem and a working DTSX package. Basically all that's involved is creating another package variable to contain the SQL you want to use, then evaluating it as an expression which allows you to use your other variables in the SQL and to execute the stored procedure as desired. There's nothing quite like seeing those DTSX package tasks lighting up green as it runs successfully! When trying to create a DTSX package in SQL Server Business Intelligence Development Studio 2005, I was looking to add a variable to assign to the result of a stored procedure. When I clicked the SSIS menu option and chose Variables or right clicked on the DTSX designer surface and chose the same option, nothing at all happened. It quickly drove me nuts and no matter what I did, I could not get the damned Variables window to appear! Then finally I opened the Window menu and clicked Auto Hide All. When I did this, the Variables window appeared next to the Toolbox and stayed visible when I reopened my project! Who knows why this happened, but if you happen to be struggling with this obscure issue then hopefully this solution will work for you.